Cloudy weather and rain pushed back until Friday the planned launch of a US cargo ship loaded with supplies for astronauts living at the International Space Station, NASA said Thursday. The 4:23 am (0923 GMT) launch of the Cygnus supply capsule aboard a Northrop Grumman Antares rocket will mark the first such trip since a Soyuz rocket carrying three people failed last month. It will be swiftly followed by a Russian Progress supply ship, scheduled to launch November 17 from the Baikonur Cosmodrome in Kazakhstan. Arrival of the unmanned Cygnus, carrying several tons of supplies and science experiments, is planned for early Sunday at around 4:30 am (0930 GMT), followed 19 hours later by the Russian Progress ship, NASA said. 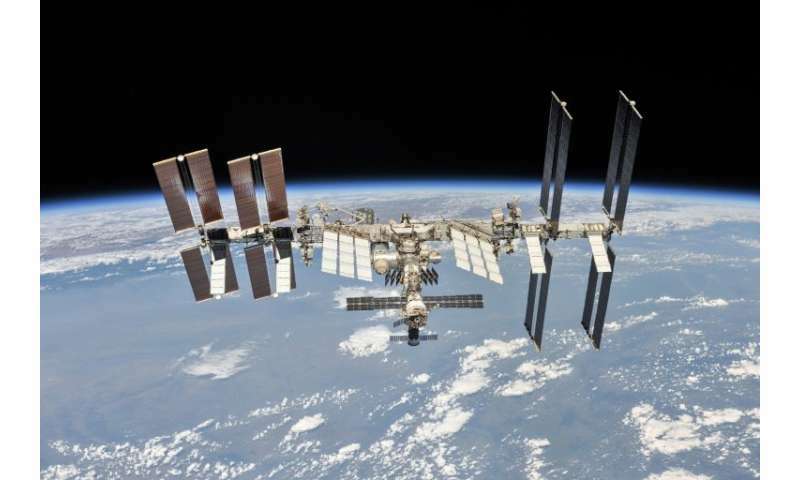 Three astronauts—one German, one Russian and one American—are currently living at the space station, which has been continually inhabited since 2000. A Soyuz rocket carrying three people failed on October 11 just minutes after blast-off—the first such incident in the history of post-Soviet space travel. The next Soyuz launch, with three more astronauts on board—one Russian, one Canadian and one American—is planned for December 3.